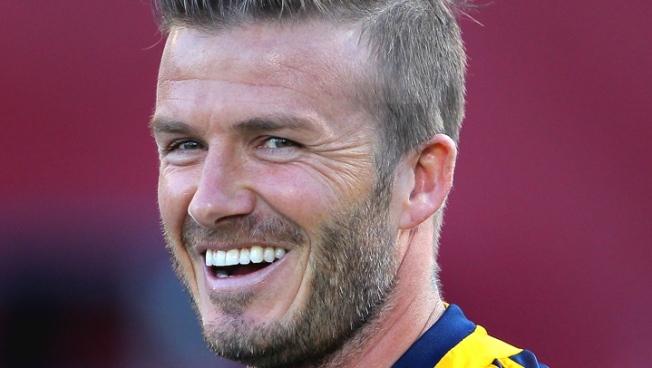 David Beckham got caught with his pants off. Tourists in LA saw more than landmarks when their bus set out Tuesday, according to reports. They scored an eyeful of international sports star David Beckham — in his underpants, no less. Beckham was modeling his H&M underwear line for a photoshoot on a back street in Beverly Hills when a bus full of tourists just happened to pass by, People reported. The tourists took pictures of the 36-year-old soccer star in his briefs while he tried to duck into the bushes from the wide-eyed onlookers. However, he had a sense of humor about the situation, smiling in many of the candid photographs. Beckham's underwear line has caused quite a stir. According to NY Daily News, even Barack Obama joked back in May that when the L.A. Galaxy traveled to D.C., "It is a rare man who can be that tough on the field and also have his own line of underwear."